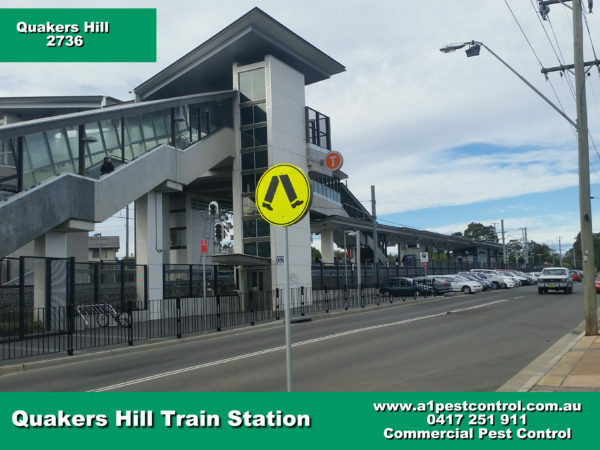 Looking for Pest Control? 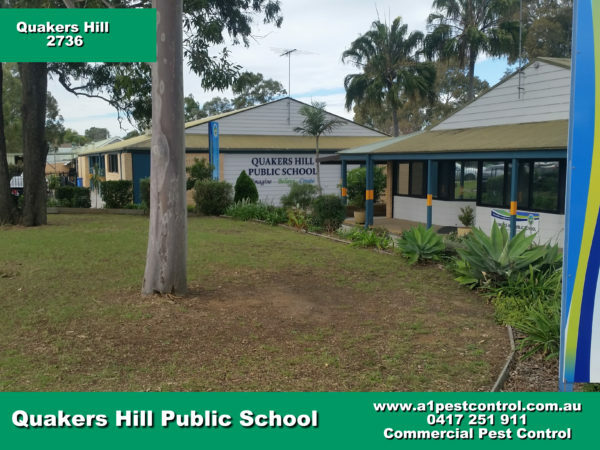 Quakers Hill is our neighbouring suburb (we live and operate in Bella Vista) and our service area for over 35 years. Your home or business could be protected by a trusted local firm. We are family owned & have survived in business by giving all of our customers what they are looking for, a reliable, trustworthy service at a reasonable price. Our train station is usually a hub of transportation and quite busy, especially during morning and evening commuting hours. Renovated in 2011 to sport a new overhead concourse the station bears a very modern design and provides an easy transport mode to the rest of Sydney. 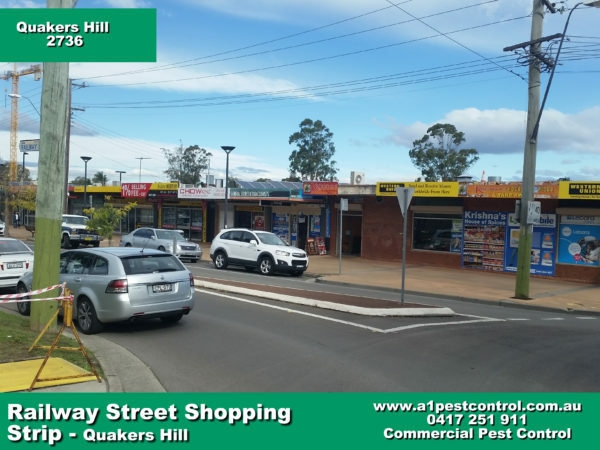 Photo of Railway Street Shopping Strip – Featuring Many Fine Dining Establishments With A Large Range of Different Cuisines on Offer. Our Public School opened over 100 years ago in 1912 and has been providing an excellent learning environment for the growing community. They focus on student welfare and exemplary educational programs. 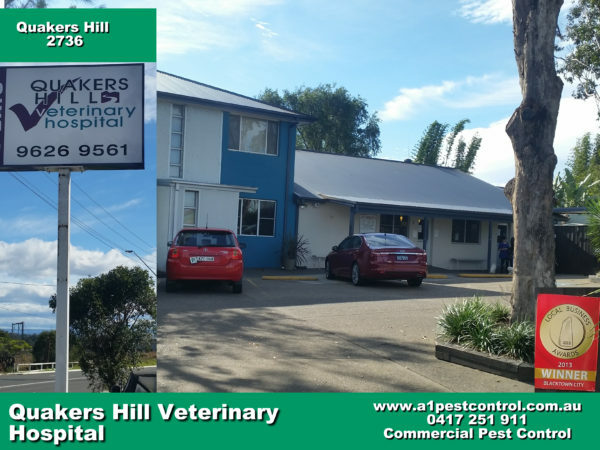 The Veterinary Hospital has received numerous awards from the Blacktown Council (in 2011 and 2013) to commemorate their exceptional work and care provided to all manner of pet and animal. 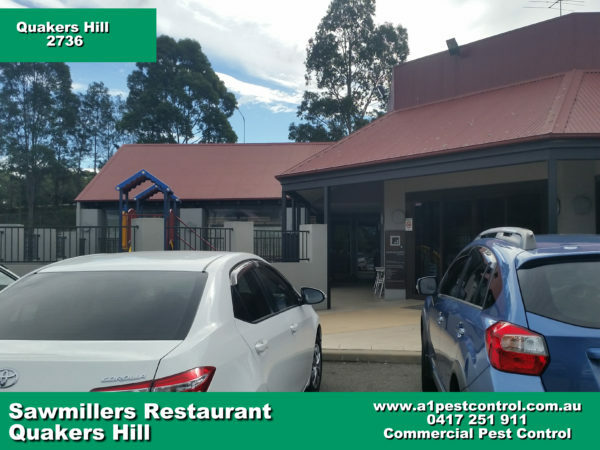 Established over 20 years ago the Sawmillers Family Restaurant has been an icon and favourite family cuisine, providing economic food and drink. They also provide an outdoor play area for children and have outdoor dining options.